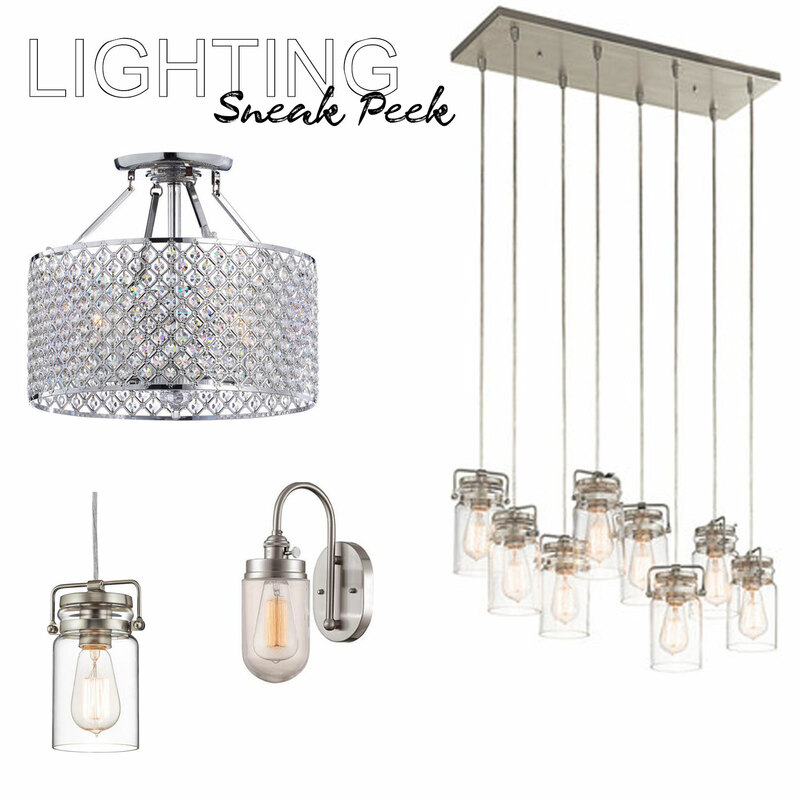 I've been meaning to share our lighting selections for a while now, but the poor blog has been put on the back burner lately. Lighting was so fun to choose. 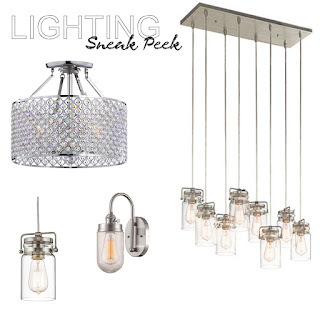 I've never thought much about lighting detail, but as we chose fixtures & chandeliers I realized how important it is to pick the right piece for the right space. All of our hardware, plumbing fixtures, door knobs, etc are a brushed nickel so we didn't want to detour from that when it came to lighting. We have a built in mirror in our master bath & I loved the idea of these nickel sconces! They provide a good amount of light & contrast really well with the chandelier. Ya... we have a chandelier in our bathroom. Now, don't get me wrong, but I never imagined myself being the type of person who has a chandelier in their bathroom. Like you guys... I'm not that fancy... but look how pretty it is!! We got a great deal through Overstock + we had a coupon, too! Everything else came through Builders Lighting in Boise. I'm super grateful we have our builders to help us design this space, because I'm not sure I would totally trust my own taste! Lighting goes in this week & I seriously can't wait to see it all come together! 3.5 weeks until our move in day!